This is the voice of a well developed Forest Dweller. He is the voice of what needs to be said. He is an Elder who has accepted the role. 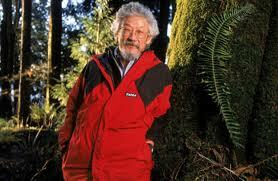 David Suzuki is someone who embodies generativity. A quick bio from Wikipedia: David Suzuki, was a professor in the genetics department at the University of British Columbia from 1963 until his retirement in 2001. Since the mid-1970s, Suzuki has been known for his TV and radio series and books about nature and the environment. 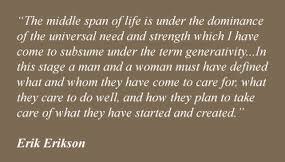 He is best known as host of the popular and long-running The Nature of Things, seen in over forty nations. A long time activist to reverse global climate change, Suzuki co-founded the David Suzuki Foundation in 1990, to work “to find ways for society to live in balance with the natural world that sustains us.” The Foundation’s priorities are: oceans and sustainable fishing, climate change and clean energy, sustainability, and Suzuki’s Nature Challenge.